Did you know that between January and June of 2015, 69% of 510(k) applications were rejected their first time? Even though there have been significant changes to the content required in a 510(k) submission since the agency released their guidance in 2005, this should not be the case. So what can you do to better manage your team’s 510(k) expectations? How can you piece together your submission in a way that’s least likely to be rejected? Join us for this free, 60 minute webinar, presented by our guest Allison Komiyama, PhD, RAC, principal consultant at AcKnowledge Regulatory Strategies and a former FDA reviewer. Allison will be sharing with you some of her insider tips and best practices so you have a better chance at receiving your clearance letter faster than your competitors! What exactly are the expectations for your 510(k)? What does the 510(k) timeline look like and how long is it going to take? What happens to your 510(k) once it’s submitted to FDA? What does the 510(k) pathway really look like? This webinar is being lead by Allison Komiayam, Ph.D., R.A.C., principal consultant at AcKowledge Regulatory Strategies. 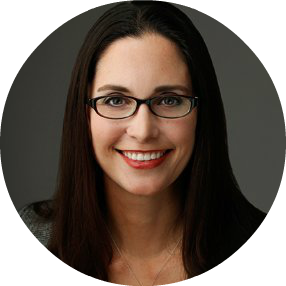 Allison is a former FDA reviewer who is an expert in regulatory submissions, quality systems, and biocompatibility evaluation. She started AcKnowledge Regulatory Strategies in order to serve clients who manufacture implantable and other patient-contacting medical devices. She received her Ph.D. in Neuroscience from Stanford University and her B.A. in Molecular and Cell Biology from University of California, Berkeley. This webinar is being moderated by Jon Speer, founder and VP of QA/RA at greenlight.guru. 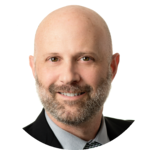 Jon is a medical device industry veteran with over 18+ years experience, has helped bring over 40 products to market in his career and is an expert at medical device quality system implementations. AcKnowledge Regulatory Strategies was started by Allison Komiyama, Ph.D, R.A.C., in order to serve clients who manufactures implantable and other patient-contacting medical devices. To see a full list of the services AcKnowledge offers you can go here.